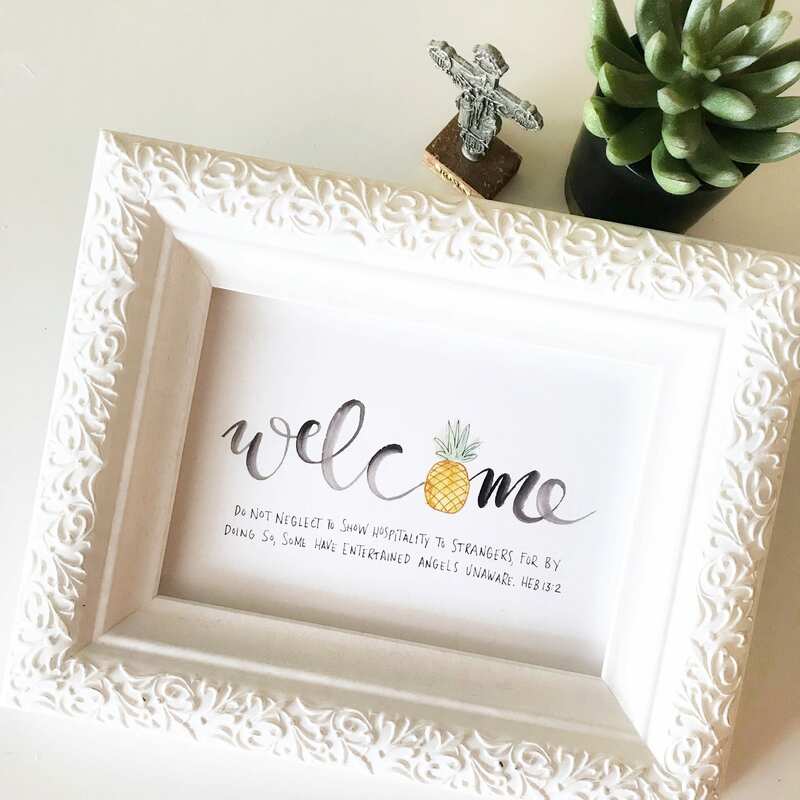 The pineapple has been known as the symbol of welcome. (If you're a Psych fan, you know that's right!) This sweet print was hand illustrated and lettered with watercolor and printed on a heavy matte finish cardstock.